These new recordings include many of Ada Palmer’s earlier fantastic and improvisational pieces, which have been out of print while we concentrated on the Sundown project. 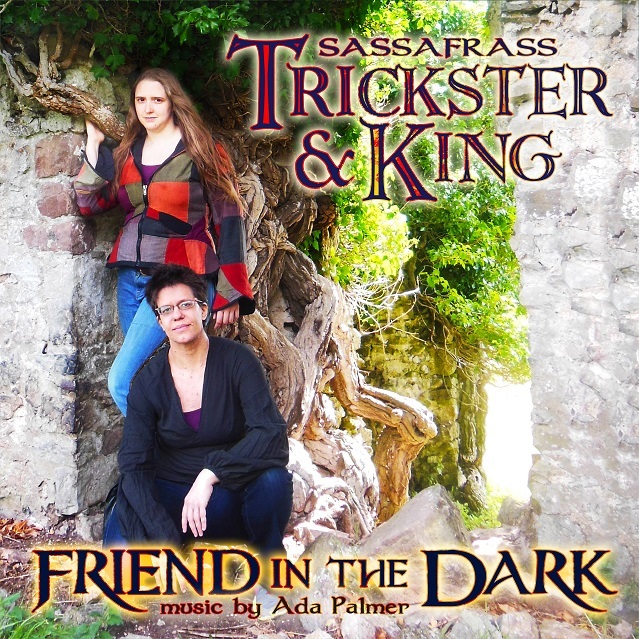 Other recordings showcase variations on our Viking mythology pieces, experimenting with variant harmonies, improvisation and instrumentation, as well as some of the duet adaptations which Ada and Lauren have created for their duo performances. More recordings are still underway, and the album will be released when it contains more than 60 minutes of polished music. Special features include recordings of “Hearthfire” and “Somebody Will” with guitar performances by Patrick Nielsen Hayden, and the cannon “Winds over Leviathas”, a song from the world of the Enepet Folksongs, which has never appeared on one of our albums before. This album is still underway and has not yet been released.